My initial goal in trying to create some kind of coherent theme was to create a Monday briefing for the week. It’s now Thursday. Better late than never? 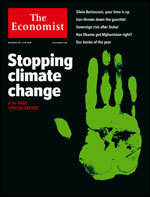 Read/news brief of the week comes from a special report on climate change in the Economist. I’m sure you’ve heard enough about global warming and the importance of recycling, but it’s always good to be informed on the issues on why your planet is “kind of” in trouble. The UN is hosting a climate change conference this month in Copenhagen, and there’s a lot of optimism surrounding it. Still, I can’t imagine much being accomplished this round — besides finger-pointing and a strong aversion to taking responsibility. The issue is too complex. As you’ll pick up, one of the main problems in dealing with an issue like climate change is responsibility. It’s probably one of the biggest roadblocks to cementing any kind of coherent policy. How do we measure state responsibility and how do we formulate a “fair” policy that takes in to consideration all the variables and differences in development and industry of each country? What about enforcement and authority? 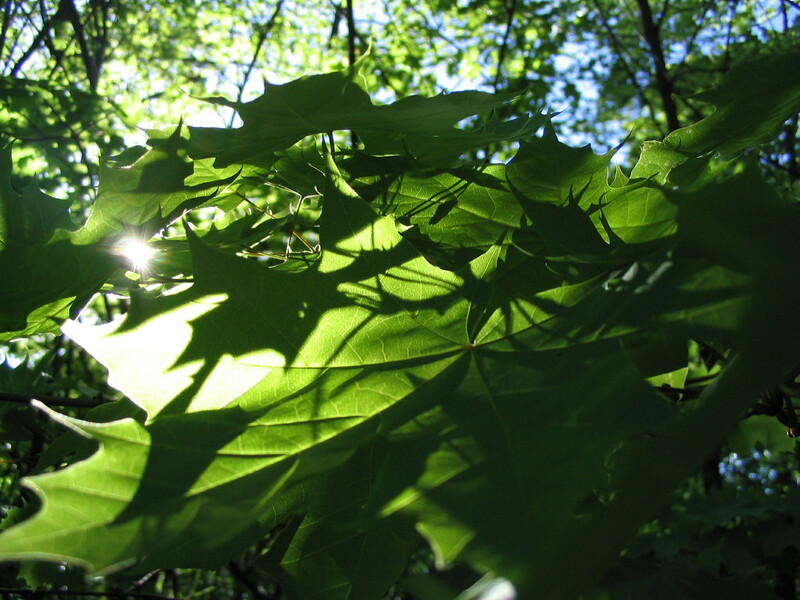 Maple leaves against sunlight in May in Helsinki. Photo © 2004 by Ilmari Karonen.